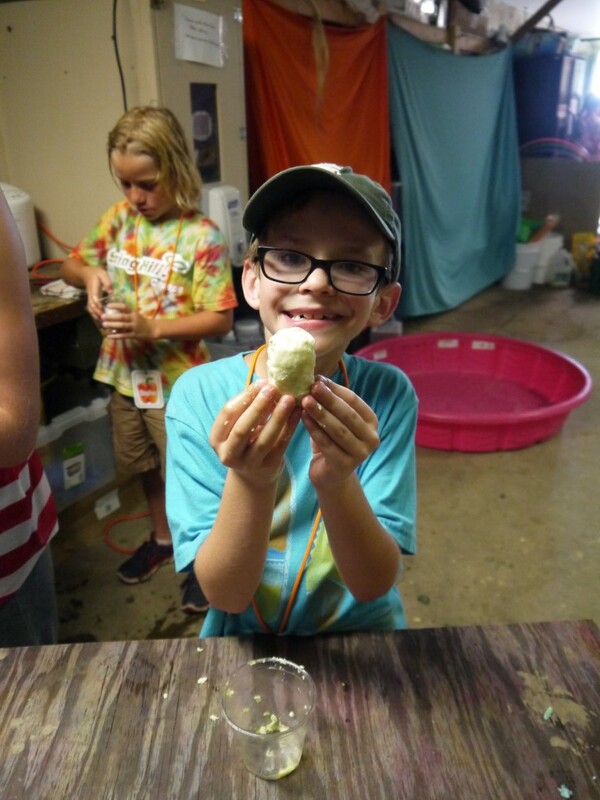 We’ve had another great day here at Animal Camp! The weather cooperated for most of the day, too! 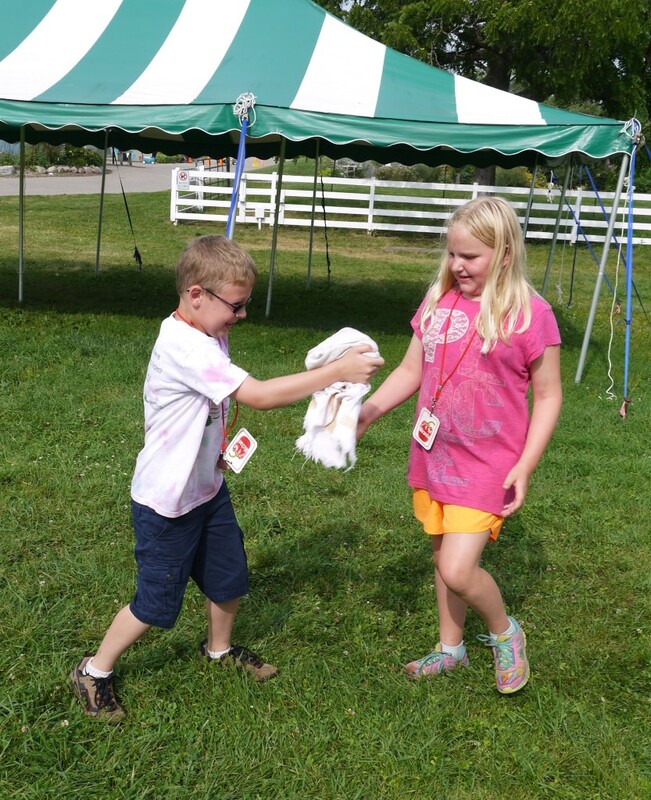 The campers did animal chores this morning. 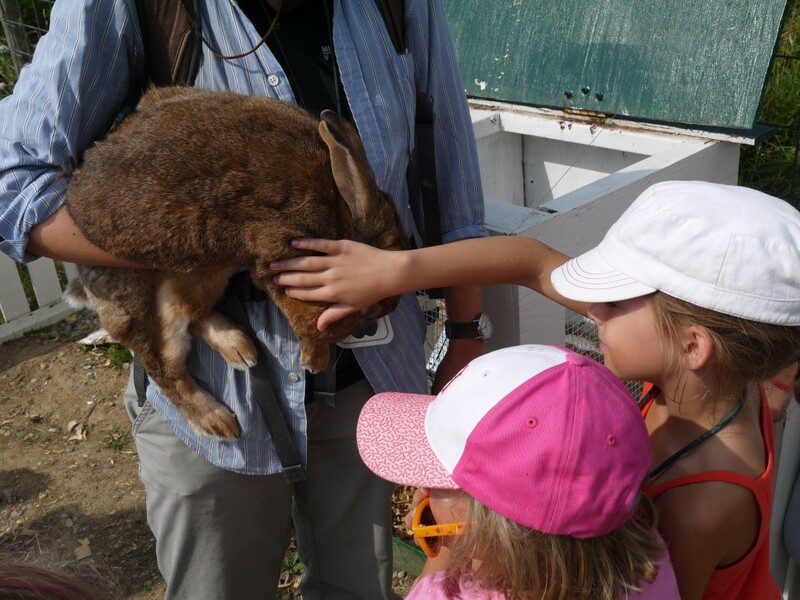 Part of caring for our animals is making sure that they are healthy and in good condition. We check for any visible cuts or injuries and make sure that the animals are exhibiting normal behaviors. Green Peppers meet our rabbit, Alice. We took a walk through the garden and talked about all of the invisible creatures beneath our feet. 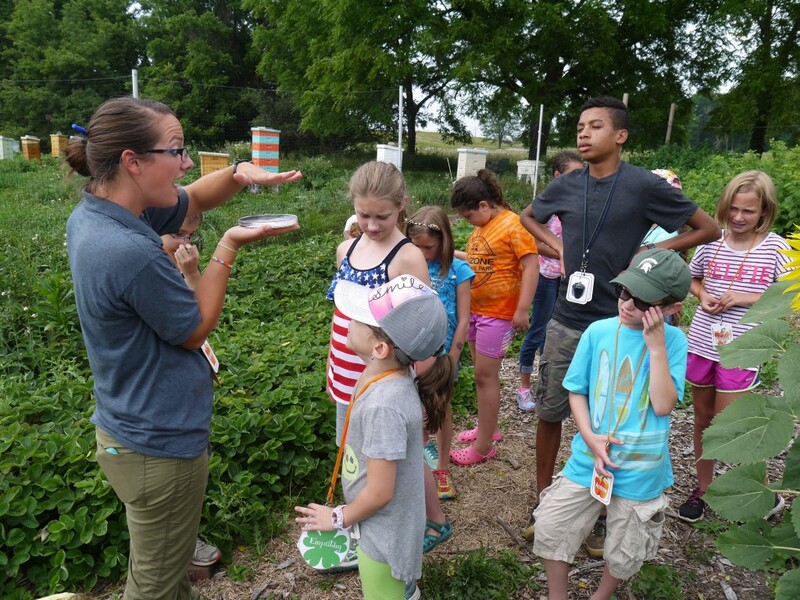 Microorganisms are a crucial part of every ecosystem, and in the garden, they help break down materials and return nutrients to the soil. We began an experiment to see what kinds of microorganisms we could attract with some cottage cheese and soil in a petri dish. We’ll check them out on Friday and find out if our experiment was successful! Orange Peppers add soil to their petri dish. Orange Peppers make a hypothesis about their cottage cheese experiment! We talked about ruminant animals today, which have four stomachs instead of just one. Cattle, sheep, goats, deer, and other animals are part of the ruminant family. 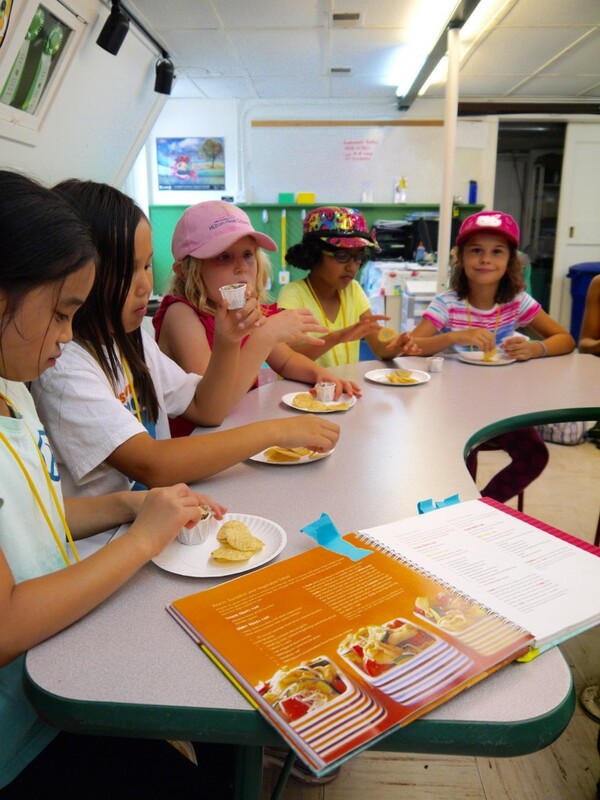 We talked through the process of digesting food and learned about the different parts of a ruminant’s digestive system – rumen, reticulum, omasum, and abomasum. The rumen is where food goes when it is first swallowed, and that is where microbes start breaking down food. Next, partially digested food moves into the reticulum. In this second stage, heavy or foreign objects that are potentially harmful to the animal settle and are prevented from moving into the next parts of the digestive tract. Cattle farmers tend to put a magnet in each cow’s reticulum to trap any small pieces of metal that may have been dropped in a pasture while building or repairing fences. Food is regurgitated from the reticulum back up to the animal’s mouth for a second round of chewing. This regurgitated material is called cud, and ruminants can often be seen chewing on theirs while relaxing in a pasture. After additional chewing, food moves to the omasum where excess moisture is squeezed out. Food then passes into the abomasum, or the “true stomach.” This part of the stomach has acids and functions similar to human stomachs to break down food completely. 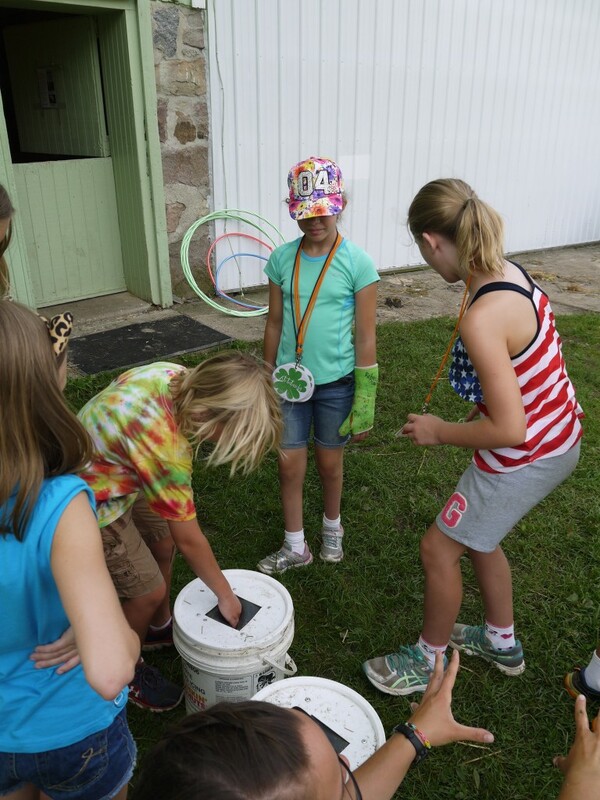 To illustrate the ruminant digestive process, we stuck our hands in buckets whose contents represented the different stages of digestion. 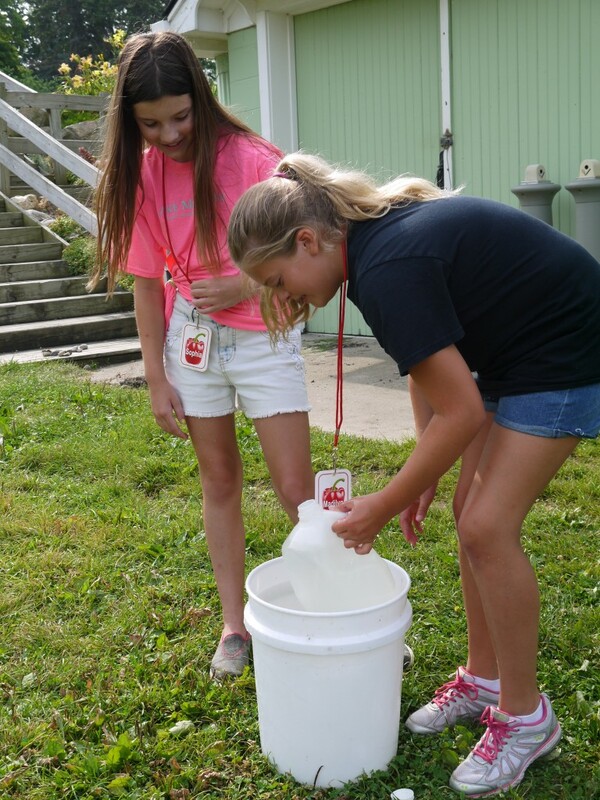 Afterward, we played a ruminant relay game that reflected the different parts of a ruminant animal’s stomachs. Ask your camper what the stages of the relay were and what they represented! Orange Peppers stick their hands in buckets that represent each stage of a ruminant’s digestion. Red Peppers compete in the first stage of the ruminant relay. Red Peppers at the second stage of the relay. Third and final stage of the relay! 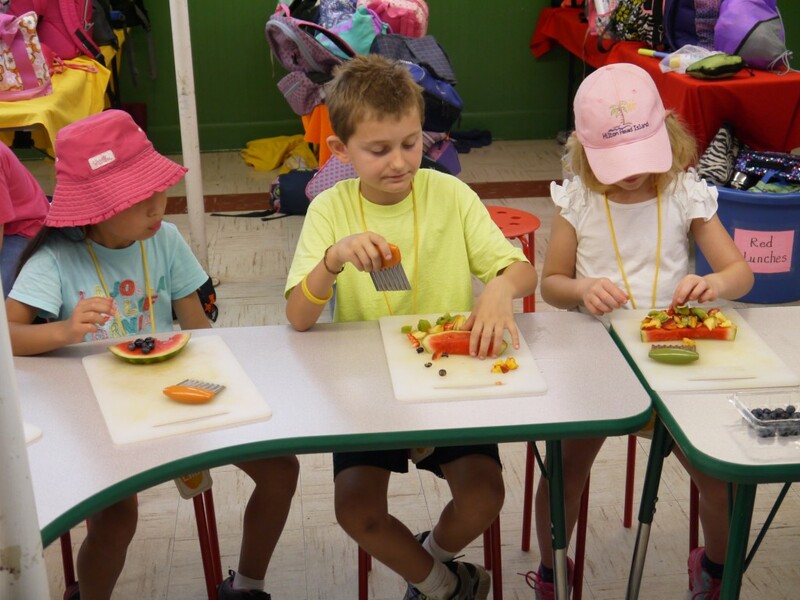 We made Watermelon Pizza in Garden Kitchen this morning, and the campers got to choose what kinds of fruit they wanted to put on their watermelon “crust.” We also taste-tested some fruits like peaches, plums, apricots, and nectarines. 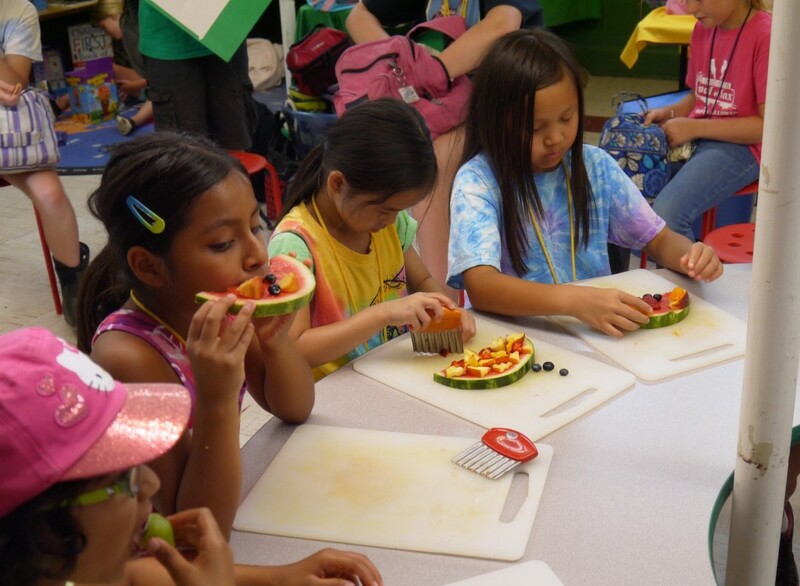 Yellow Peppers taste their watermelon pizza! 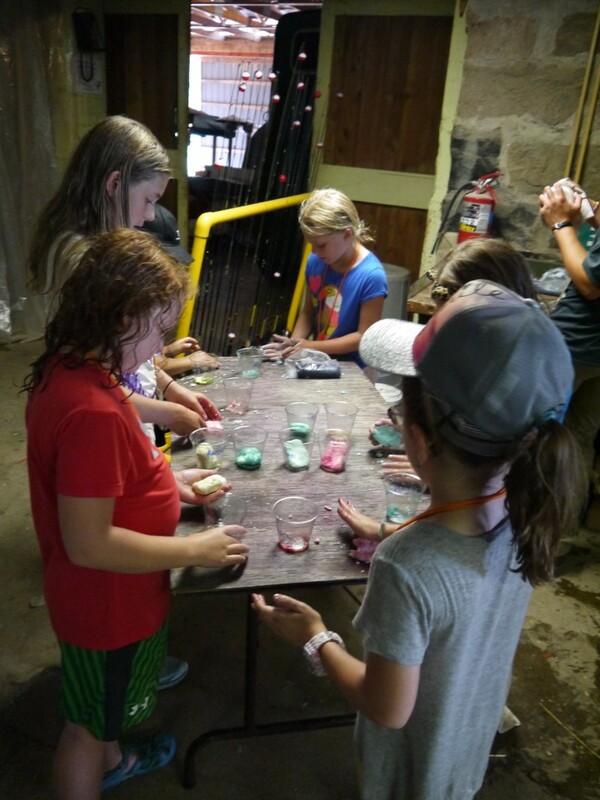 Campers made goat milk soap this afternoon! They picked a color and an essential oil (for fragrance) and then mixed it in with some softened soap. 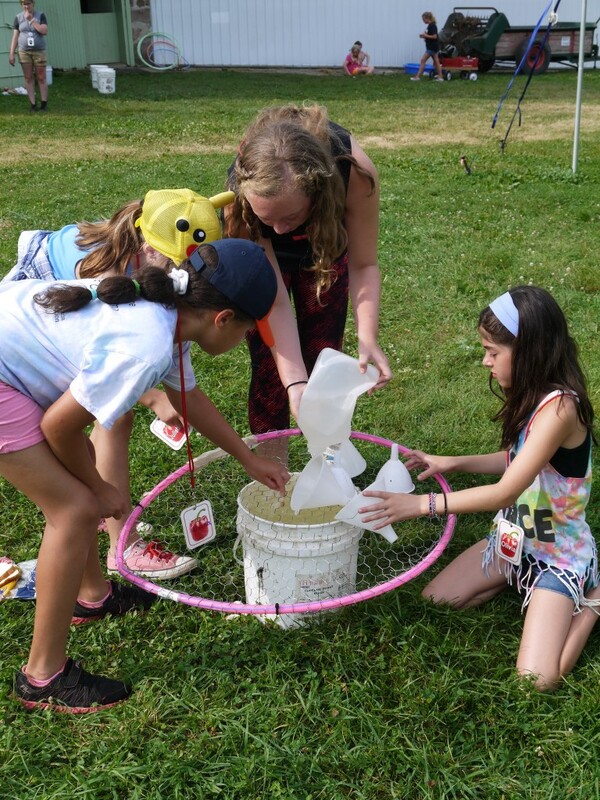 The soap was still very malleable, and some campers molded theirs into awesome shapes! An Orange Pepper shows off his soap! Orange Peppers working hard to mix their soap . 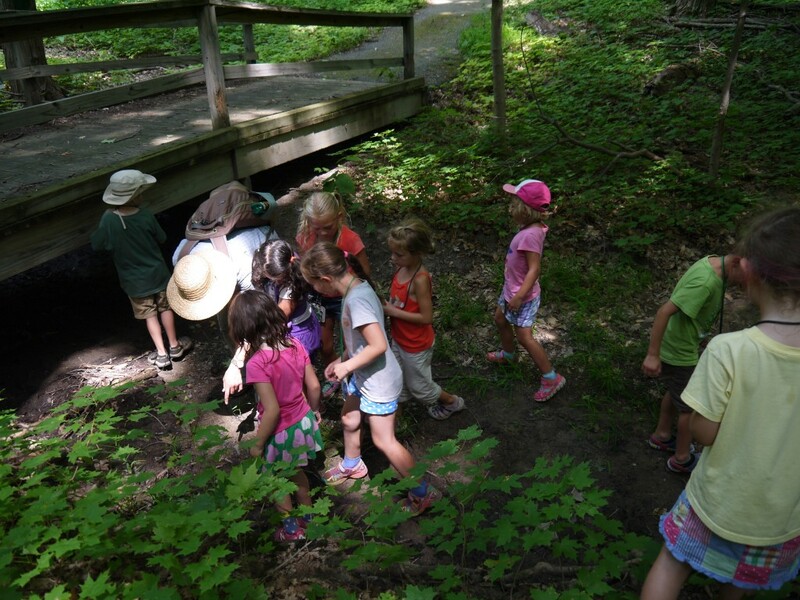 We went for a hike in the woods to look for animal tracks and identify the critters that live in the woods. We found that we could tell just by looking at the footprints whether an animal was walking, running, or jumping. 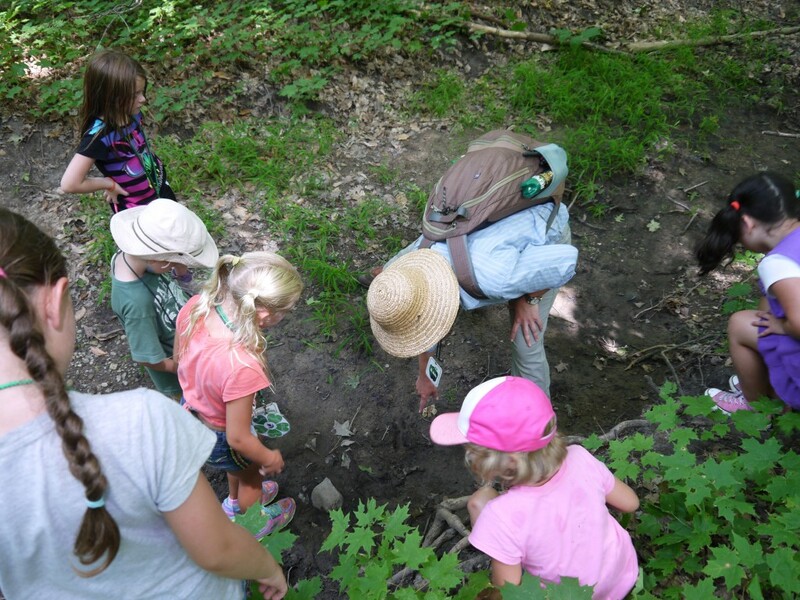 Ask your camper what tracks they saw! Green Peppers find tracks in the dry creek bed! Ms. Mandy shows the Green Peppers some deer tracks. Ms. Pam made black bean hummus for snack this afternoon, and it was a huge hit! We used tortilla chips, but veggies and other dipping foods would be great with this hummus. The recipe can be found at the bottom of this post. Yellow Peppers taste their hummus! During our STEM Creature Creation time, we focused on the movement of our animal. 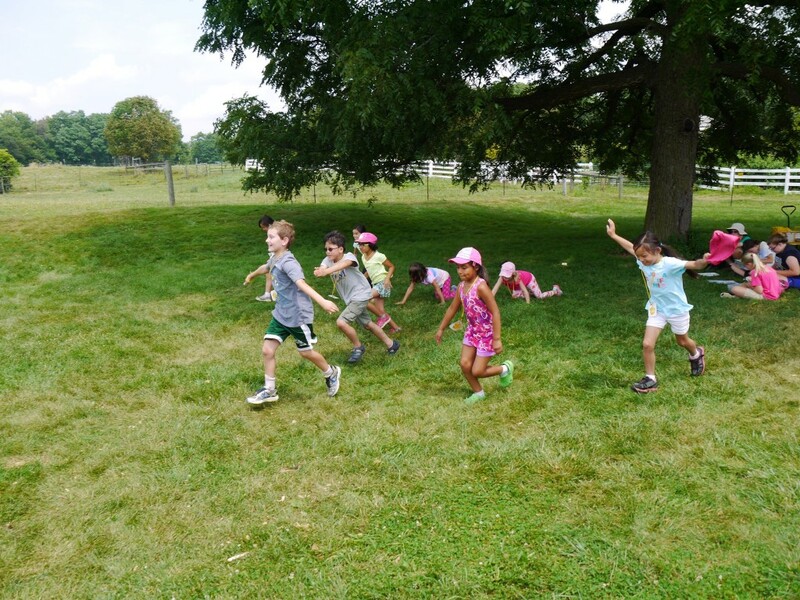 Creatures move in many different ways: swimming, running, hopping, slithering, etc. We talked about the many physical features that can help animals move fast or slow and which ones we want our own creatures to have. 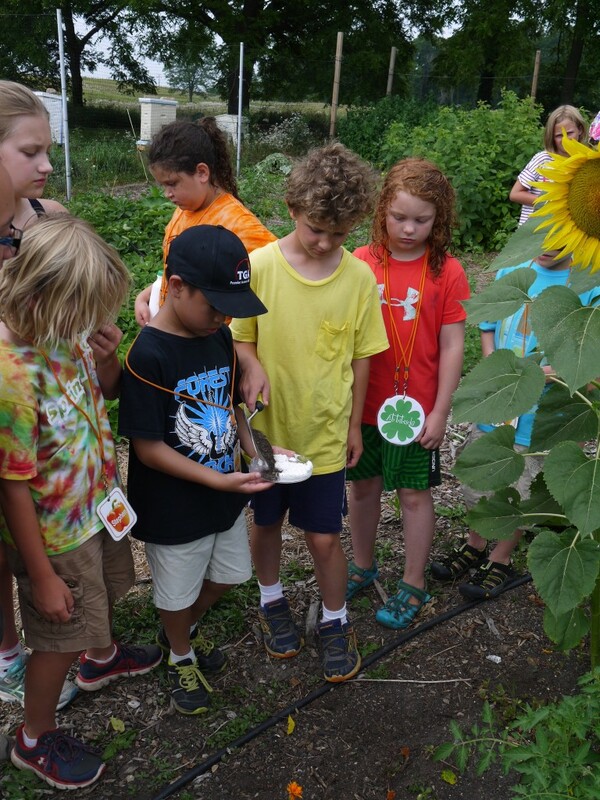 Ask your camper to tell you about their fantastic creature! Yellow Peppers talk with Ms. Erika about animal tracks. Yellow Peppers practice the movement that they’ve chosen for their fantastical creature! 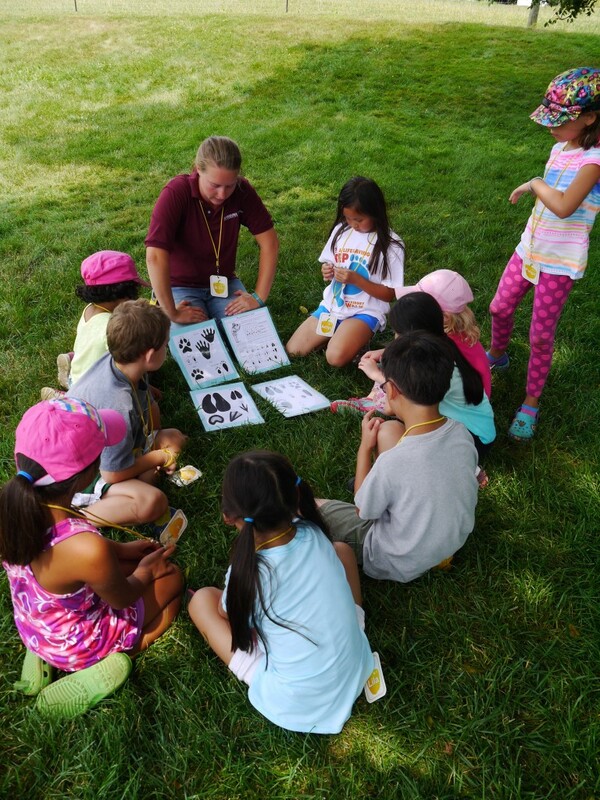 We sent home a parent evaluation survey today, and we ask that you take a few moments to talk with your camper about their experience at Animal Camp and provide us with feedback. We greatly appreciate your help in making this camp experience so wonderful, and we welcome your input as we strive to improve camps here at MSU Tollgate. You can return completed surveys at drop-off or pick-up times through the end of the week. Thank you! Peel and slice kiwi and peaches. Place on top of watermelon rounds, then cut rounds into six pieces and enjoy. Rinse and drain the two cans of organic black beans. Let the beans sit for 15 minutes in a strainer to make sure all the liquid had drained off. Place them into the food processor. Cut off the roots of the green onions and slice the white section of the green onion; place in the food processor. Squeeze one lime to get 1/4 cup of juice and add it as well. Process the 2 cans of black beans, 1/4 cup fresh lime juice, 4 green onion bottoms sliced, 2 large cloves garlic, 1 teaspoon ground cumin, 1/2 teaspoon chili powder (with kids use 1/4 teaspoon), and 1 teaspoon oregano. Add one tablespoon at a time of the avocado oil to create a creamy hummus. Use olive oil if you do not have avocado. Use cucumbers to hold the dip. This entry was posted in Camp Blog, Uncategorized. Bookmark the permalink.